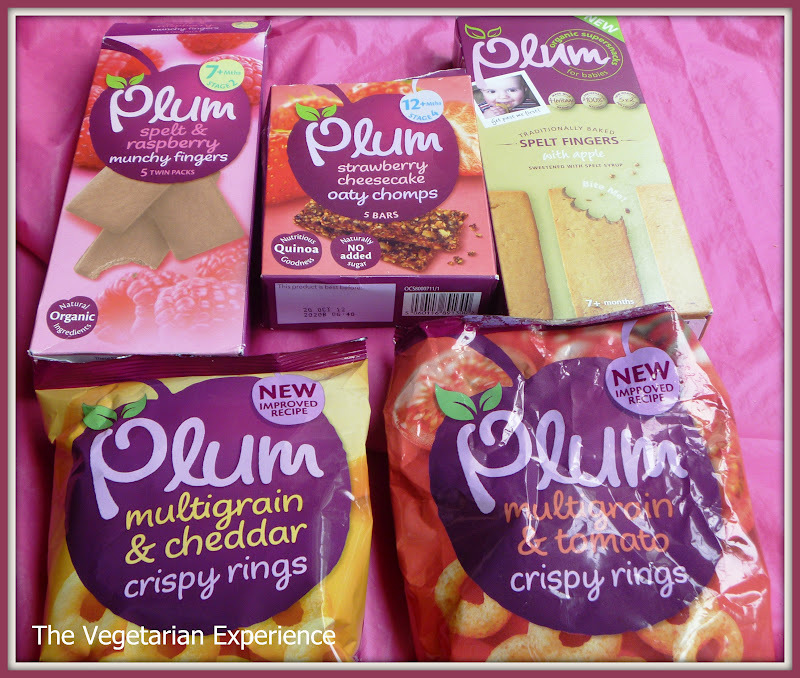 Recently I was sent some products to review from the Plum Baby range. 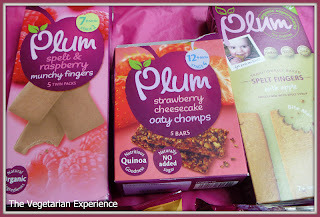 I bought Plum products for both of my girls when they were small, in fact I'm quite sure that Plum was brand new when eldest started weaning and it was so lovely to discover something a bit different on the shelves from the usual baby jars full of unappetising gunk. 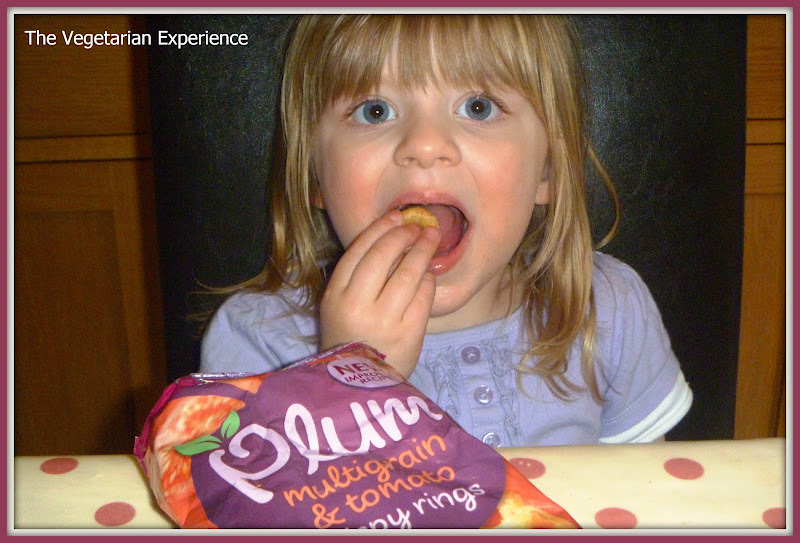 My girls are now well past the first foods stage which Plum seems to be most synonymous for, and I wasn't sure whether the girls were a bit old for the plum range, but as I am conscious about what they eat, and knowing that Plum foods contain naturally organic ingredients rather than added salt and sugar, I thought that it would be good for them to try some products full of goodness. 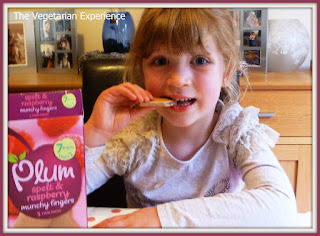 The products we were sent were Multigrain Crispy Rings, Spelt Munchy Fingers and Oaty Chomp Cereal Bars. First we tried the Spelt and Apple, and Spelt and Raspberry Munchy Fingers. These are suitable from 7 months plus and are natural sweetened with Spelt Syrup. 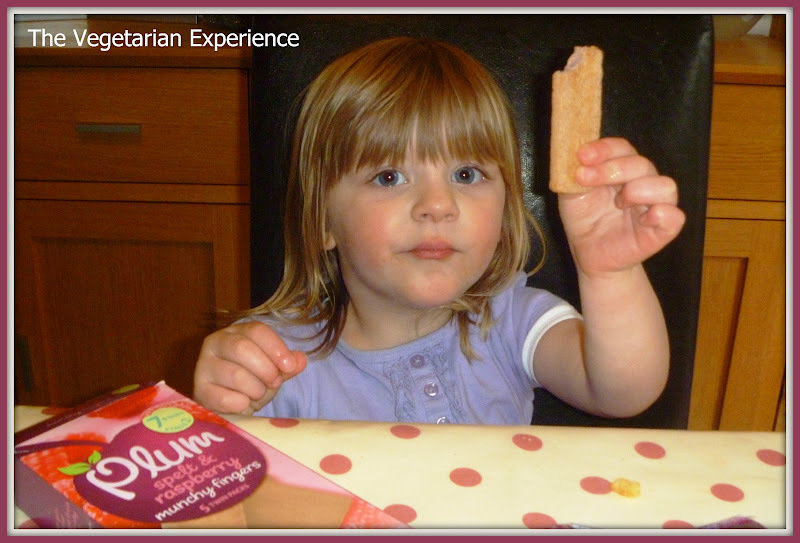 The flavours are really appealing, although the girls said that the biscuits didn't have much taste. However, I'm sure that this is due to their discerning little palettes which have been exposed to lots of flavours already, and so I think little ones would find them much more flavoursome than an older child. I also loved that the biscuit were wrapped individually in twos - great for freshness, and for taking out and about. I much prefer to buy individually wrapped biscuits to a whole box as I always find myself having to throw half the box away. I thought that the packaging also looked really appealing to little ones and in fact youngest has commandeered the boxes for her toy supermarket! Next we tried the Multigrain Crispy Rings. The girls had a choice of tomato and cheddar and they loved eating both of them. 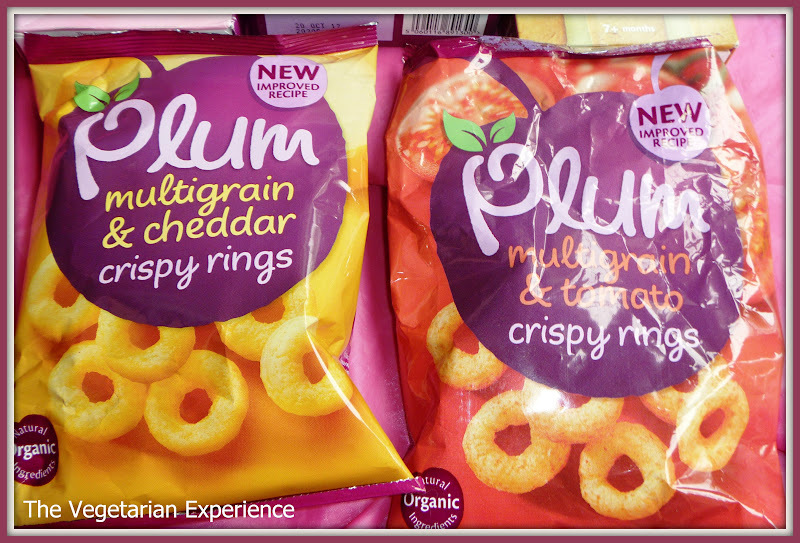 Plum Multigrain Crispy Rings are made with wholesome corn and rice. 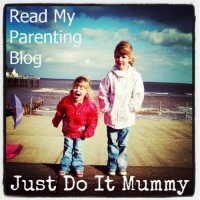 They also contain quinoa - a great grain for protein, especially if your kids are vegetarian. Additionally they contain Teff - which is rich in fibre, iron, protein and calcium, and they have no added salt. My kids have become hooked on salty crisps and so it was lovely that they found these so tasty - we will definitely be buying them instead of crisps for packed lunches as the kids couldn't tell the difference. Finally we tried the Strawberry Cheesecake Oaty Chomps. Full of oats and quinoa and naturally sweetened with raisin and strawberry, these cereal bars contain no added salt and sugar. My kids really enjoyed these and again I would definitely buy them for them to eat in the future. 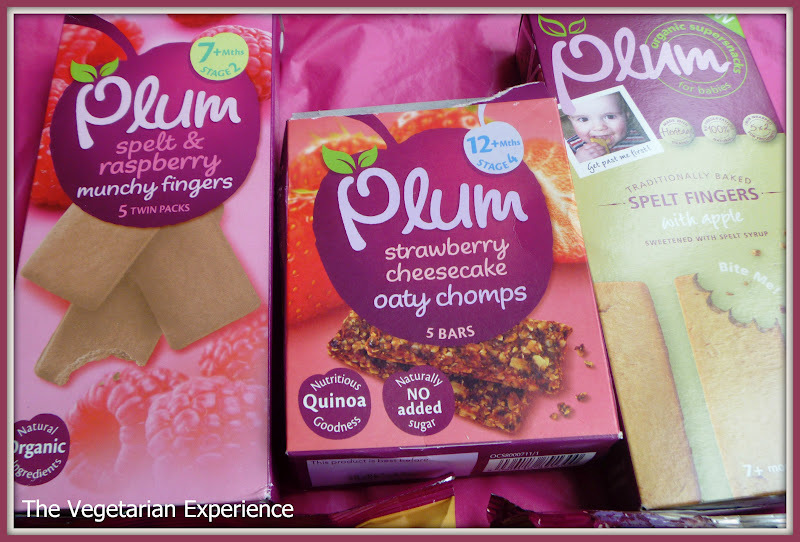 We enjoyed sampling the Plum Baby range. I would definitely recommend their finger foods as they are great for little ones just starting to wean, through to toddlers and under 5's whose parents want to give their children healthy snacks without fats and sugars. Disclaimer: Products offered in consideration of review. 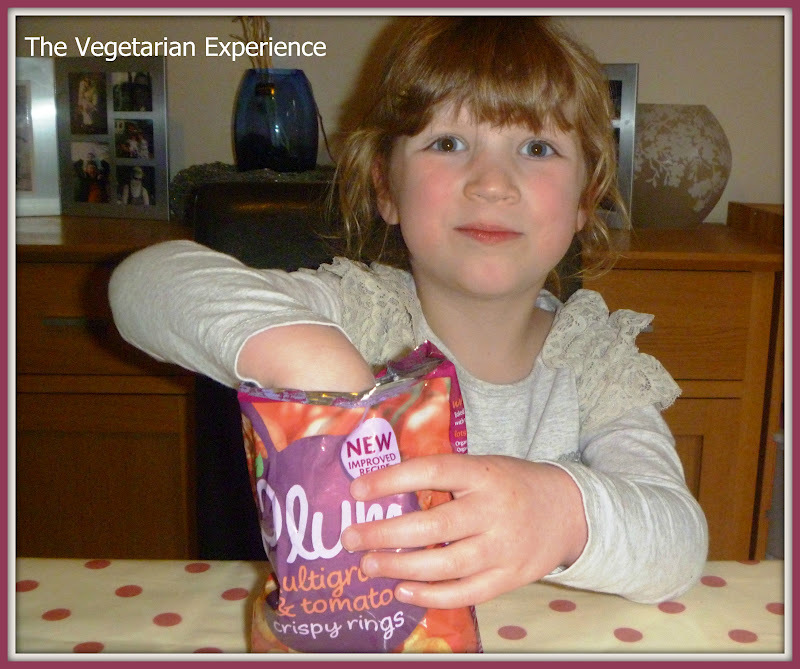 Cooper loves their fruity pouches and I don't mind giving them to him as they are natural with the added benefit of quinoa. Will have to try those strawberry oaties on him.